Photos of DRCs in North Carolina for DR 4393 Hurricane Florence. Mitigation activities in North Carolina DR 4393 Hurricane Florence. Local hires swearing in ceremony at JFO in North Carolina DR 4393 Hurricane Florence. Public Assistance photos for North Carolina DR 4393 Hurricane Florence. These are all disaster photos related to North Carolina Hurricane Florence. Audio/Video/Etc. from the Hurricane Michael response. Images used to populate NED's public webpages. 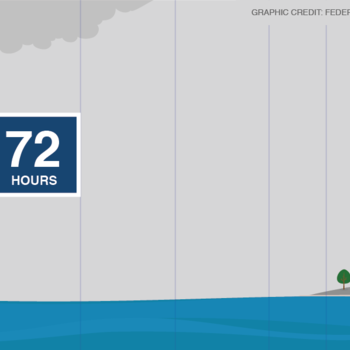 Social media graphics for Facebook and Twitter to help consumers start an insurance claim, work with an adjuster, and clean up following a flood disaster. 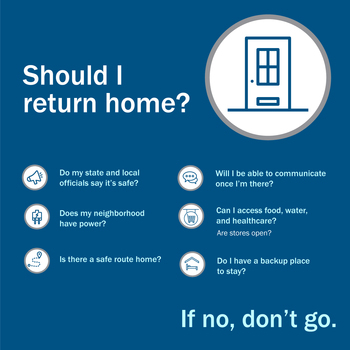 Preparing for hurricane season includes having flood insurance. Graphics for before the storms.